Anxiety disorders are the most common type of mental health disorder, and come in different varieties. While they have different causes and symptoms, one thing people with anxiety disorders share are feelings of deep fear, concern, stress or being overwhelmed that affect their mood, thinking and behavior. If you have an anxiety disorder, your thoughts and feelings may get in the way of taking the actions needed to be healthy and productive. Anxiety disorders can get worse over time if they are not treated. In this section we will talk about generalized anxiety and panic attacks/panic disorder. 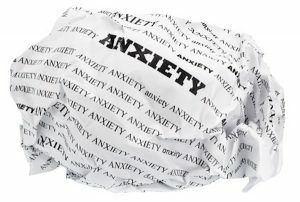 Many things cause anxiety including too much caffeine or other stimulants such as preworkout supplements or decongestants, poor quality sleep preventing your brain chemicals from rebalancing, poor nutrition and, of course, stress. Learn where worry comes from. Shyness is a common problem that comes with a high price. If you suffer from shyness or social anxiety you might avoid social situations and may have trouble connecting with others due to an extreme fear of humiliation, rejection, and judgment. You will confront performance fears, test anxiety, shy bladder, and interpersonal fears—fundamental symptoms of social anxiety. Learn psychological flexibility to improve your ability to accept the feelings, thoughts, and behavior that may arise as you learn to work past your anxiety. Gain a deeper understanding. Take it further and read the second section of each chapter for skills that will help you make lasting changes. Then, go online to practice your skills. Matthew McKay is one of my favorite authors. I love the majority of his books. The ones I recommend are practical, to the point and easy to implement as a self-help resource. We have an affiliate relationship with New Harbinger Publications which enables you to receive 25% off your entire order, EVERY TIME when you use promocode 1168SNIPES at checkout New Harbinger has many books available, Dr. Snipes only recommends those she has personally reviewed and would use or currently uses with her own clients. Get enough sleep. Getting enough sleep is essential to helping your body rebalance the brain chemicals and hormones needed to feel happy and relaxed. Know your triggers and address the threat. Figure out why your body thinks it’s a threat and address that. Manage your time. Poor time management can lead a long hours at work and poor sleep, or just an increase in stress and anxiety because you get too much to do.